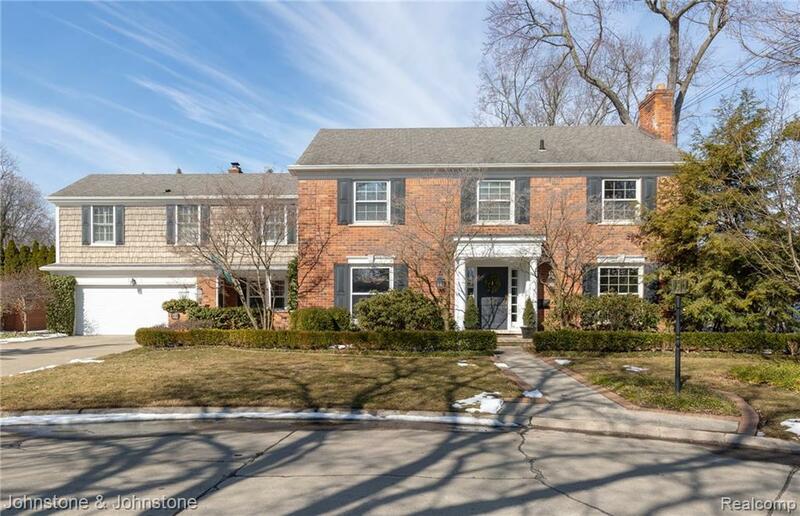 What's better than a Farms colonial on a cul de sac? One that is on the market!! 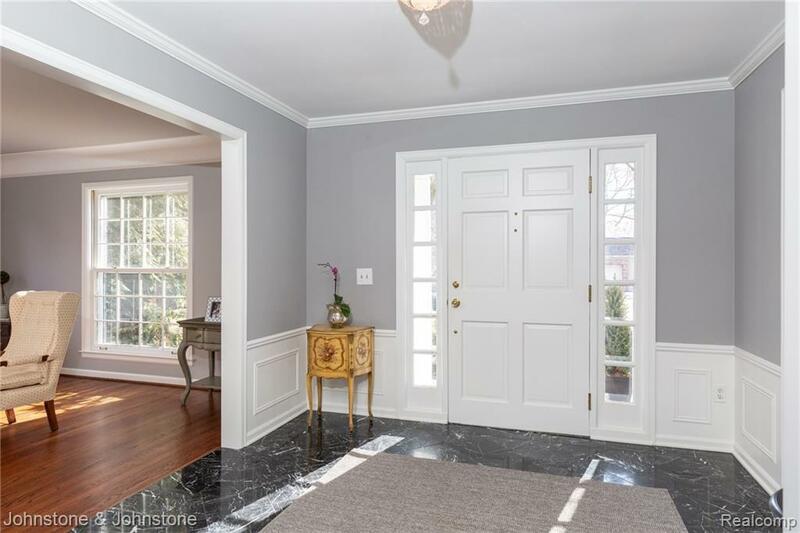 Pristine & tastefully appointed best describes this center entrance home. The floor plan offers family room & kitchen adjacent to the professionally landscaped yard w/new blue stone patio, & fenced yard for "man's best friend". Gourmet white kitchen w/stainless appliances, garden window, spacious eating area, great work space & cabinets galore. Side entrance features a gated courtyard w/slate floor that opens to a mudroom. 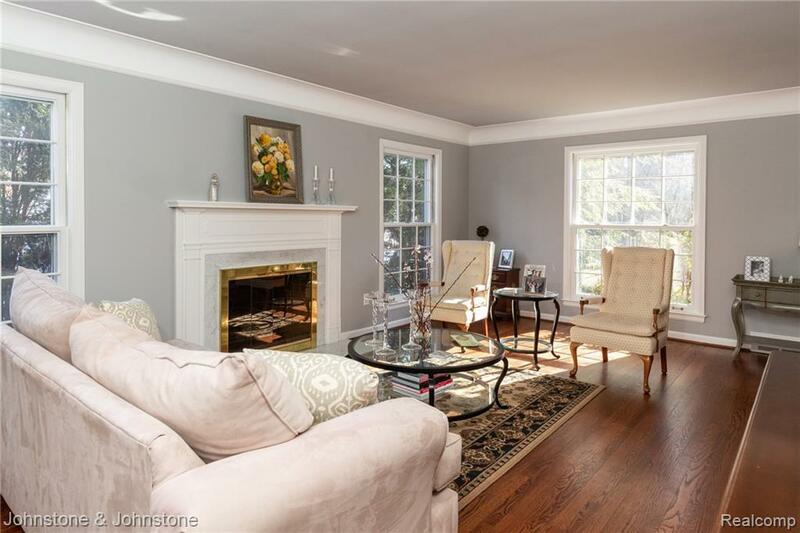 Family room boasts built-in shelves & cabinets & a gas fireplace. 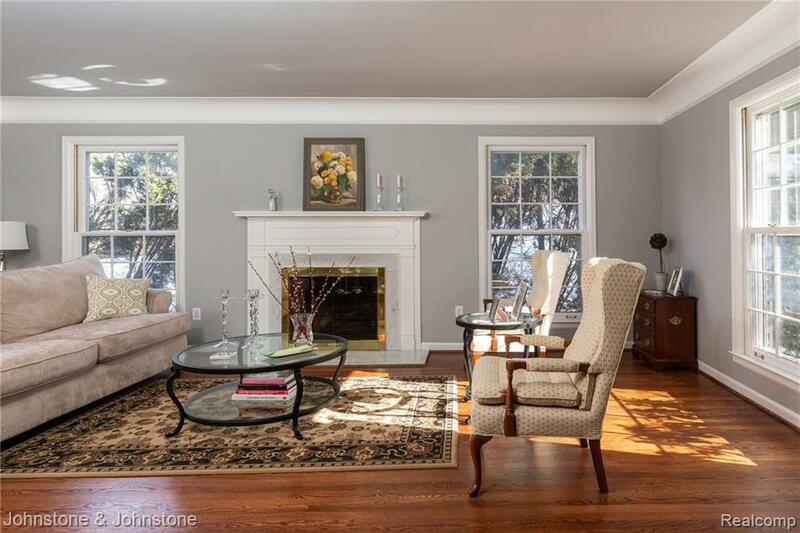 A library, living room w/gas fireplace & a formal dining room complete the 1st floor. Spectacular master suite has cathedral ceiling, plantation shutters, fabulous private bath w/shower, double sinks, soaking tub & heated marble floors. Sitting/dressing room has walk-in closet. 4 more bedrooms & 2 full baths complete the 2nd floor. Finished lower level w/playroom, lav, laundry & exercise room.